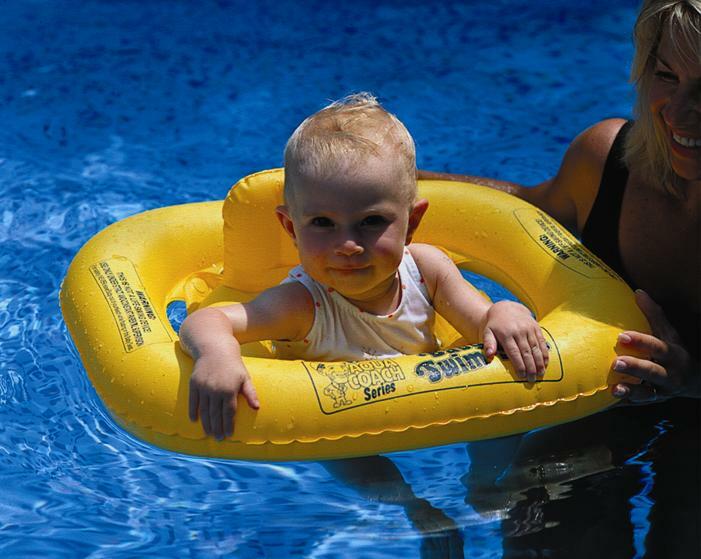 The Aqua Coach keeps your baby upright while teaching them to move through the water by kicking. This float will support weights between 15-33 lbs, or ages 1-3 years. 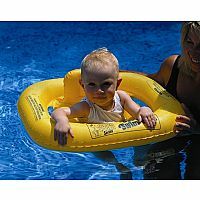 Your baby will be safe and calm in the bucket seat of this heavy duty vinyl AquaCoach Inflatable Baby Seat during trips to the pool, lake, pond, or beach. A comfortable seat back will keep your baby relaxed, while their legs will be free to kick in the water. These are important in helping your baby build water confidence. 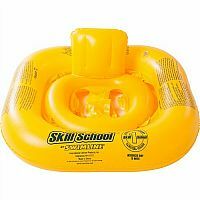 Bright yellow color makes the swim seat highly visible. Patriotic Inflatable Beach Ball 22"